Orange tones have a warm quality that only a few warm colors have: Everyone looks good in the light they reflect. Painters, including Georgia O’Keeffe, Paul Cezanne, and Paul Gaugin, have long sought to capture the brilliance of the sunset. Now, decorators are capturing those same colors and using them in any space that needs a new look. 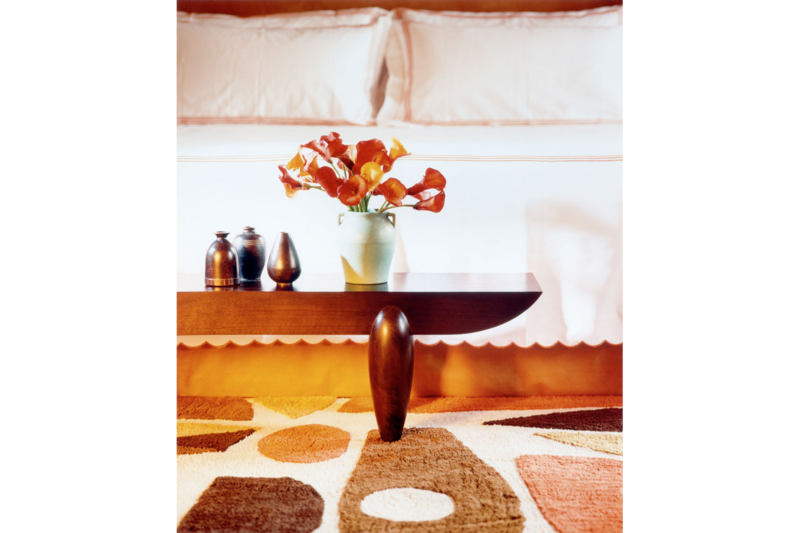 (In this bedroom designed by Lee Ledbetter Architects), bold punches of orange in the rug complement the subtle bed coverings. The flower arrangement also picks up tangerine tones.